Cloud networking offers a host of advantages when compared to traditional, controller-based network management systems. By now, almost any company, independent of its industry and size, uses at least one kind of IT cloud service. As a result of its inherent advantages, cloud networking adoption is growing continuously, following the general trend of moving IT infrastructure to the cloud, and consuming it as-a-Service instead of hosting it locally – IaaS is experiencing the fastest increase out of all cloud services, with a compound annual growth rate of 29.7% forecast through 2020. And that’s not surprising at all, because cloud-computing services provide huge upsides and workload shifts for companies: IT departments no longer have to purchase, deploy and maintain computing hardware and software in-house, cloud services are quick and easy to set up, they scale as needed without involvement from IT, and are automatically updated to the latest release level. In short, they vastly simplify and reduce the complexity and cost of IT service delivery – and organisations’ wired and wireless access networks can now enjoy the very same benefits. What is cloud networking, anyway? Cloud networking introduces a new way to deploy and operate distributed access networks. It delivers enterprise-class network management capabilities for Wi-Fi access points, switches, and routers, via a cloud infrastructure that requires little or no capital investment in additional hardware and software platforms or in IT resources. Unlike traditional locally hosted solutions, cloud networking simplifies highly complex tasks to make them extremely simple, enabling organisations to deploy locations in minutes and operate distributed networks via a centralised console, providing unprecedented levels of control and network visibility. It also allows for seamless growth without bottlenecks caused by legacy networking components such as wireless LAN controllers, and supports headquarters and remote locations alike, significantly reducing the need for local intervention. Cloud networking offers the same high-level benefits as all cloud services – namely simplicity, reduced cost, and faster time-to-deployment. An understanding of the following characteristics will help organisations identify what to look for in different vendor solutions, and decide if they are a good fit for their needs. Cloud networking provides the ability to centrally manage unified wired and wireless networks. They also enable the process of upgrading the management functionality and the networking device firmware, meaning customers always have the latest features available, without having to use in-house resources to perform the upgrades – just like in a SaaS model. Cloud networking also presents the ability to separately deploy an organisation’s remote locations with their own network, complete with policies, devices, etc., and then manage them concurrently from one master account, accessible from anywhere. Last, but not least, advanced cloud networking solutions can leverage the network data pool available in the cloud, to let network administrators compare the performance of their own network with the averaged performance of other deployments. Comparative analytics bring a variety of benefits, including the ability to proactively troubleshoot issues before they become noticeable to end users, and to adjust device configurations or add access points, to mitigate latent capacity and coverage limitations. One of the most attractive characteristics of cloud is elasticity – to scale up or down seamlessly, in line with changing demand. For cloud networking, a singular underlying platform is the key to enabling scalability across networks of all sizes and into different solution tiers – all while supporting the organisation’s initial hardware purchases to avoid expensive refreshes. Scalable functionality lets organisations add further features and upgrade to a higher solution tier with richer functionality, without impacting the current network and the existing configurations and policies. The ability to quickly add capacity is an additional benefit with cloud networking. Within minutes, organisations can add capacity in small or large increments, from only 1 or 2 network devices to bringing up one or more new corporate locations. Equally important is the ability to seamlessly add new services and management features like authentication or API services, without having to worry about the impact on the underlying infrastructure, like having to purchase new hardware and software platforms, and having to train personnel on the new services and applications. While many organisations today opt for public cloud deployments with its many advantages, others choose on-premises deployments due to organisational or legal requirements. With one underlying cloud networking platform, the feature set is consistent across all deployment models, and organisations can choose the option that works best for them without having to compromise on supported functionality. Another inherent benefit of a single underlying network platform is that, independent of network size, solution tier or deployment model, it leverages the same set of network devices – access points, switches and routers. As the network grows and evolves, customers can continue to work with the same hardware, and don’t need to worry about being forced into “rip and replace” upgrades. Switching to cloud networking significantly reduces the cost of deploying and operating an access network, compared to hosting it in-house. Organisations will be able to save cost with regard to capital expenditures for redundant hardware and software infrastructure for the network management system and for centralized hardware controllers; personnel-related expenses for ongoing management and potential additional hires when expanding the network; and ongoing operational expenses for local intervention required for deployment and troubleshooting at remote branches with truck rolls, due to the benefits of centralised cloud management. In addition, many organisations benefit from operating in an OPEX cost environment with cloud networking, with monthly or quarterly fees from Managed Service Providers as the organisation consumes the cloud service – as opposed to incurring the upfront capital expenditures required for hosting their network management in-house. Advanced cloud networking platforms can collect a world of valuable information about the devices, clients and applications running across the network’s central or remote locations – and aggregate it into a single data pool that can be accessed through APIs, so that customers can extend the networking platform’s functionality – developing their own applications and system integrations to enable new analytics and insights, create better network-user engagement, and increase operational efficiencies. Cloud management platforms are also able to leverage the anonymised network data from collective network deployments for Big Data analytics, further enriching the use cases enabled with APIs, including comparative network analytics, machine learning and API applications. Cloud networking is a powerful solution, and offers a host of advantages compared to traditional, controller-based network management systems. Due to its flexibility and seamless scalability, cloud networking is a fit for organisations of all sizes and industries. 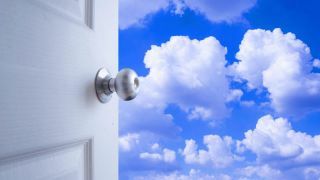 Even industries or regions that have traditionally relied on on-premises deployments, due to security and availability concerns, are increasingly moving to the cloud. The key for organisations is to put in place a solution which can scale upon demand, and allow them to constantly create new competitive advantages, process efficiencies and cost savings.